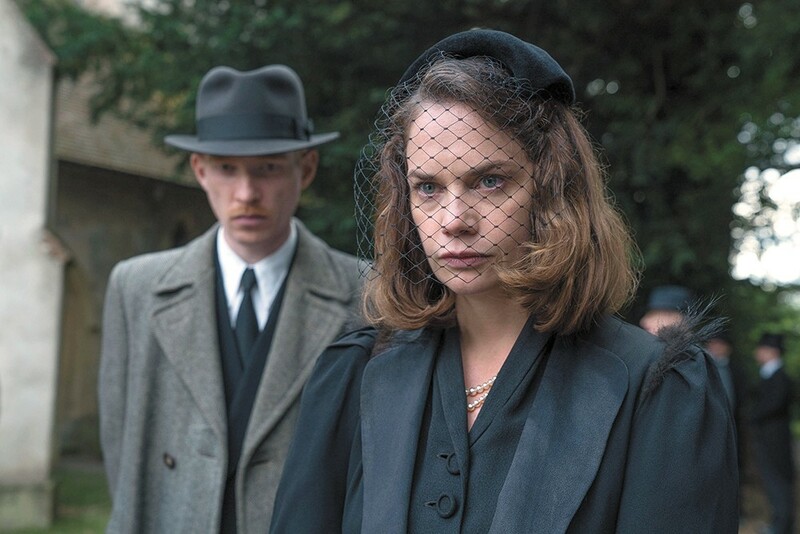 Domhnall Gleeson and Ruth Wilson in The Little Stranger. The Little Stranger could serve as a case study for the artificial, limiting nature of genre classification. There's certainly horror to be found in Lenny Abrahamson's follow-up to his 2015 awards darling Room, but there's also romance, intrigue and a dash of period drama. Domhnall Gleeson stars as Faraday, a small-town doctor who begins paying regular visits to the dilapidated Hundreds Hall, where he bears witness to the turmoil of its residents. Their paranoia begs the question: Is something more sinister than familial claustrophobia afoot? Faraday, though not a member of the family, finds himself drawn to the house's majesty. The place left a keen impression on him as a child, a memory frequently connected to the narrative's present by Abrahamson's smooth, quick cuts and striking sound bridges. The director revels in the house's space, in the echoey depths of its rooms, the eerie emptiness of its halls, the sharp zig-zag of its main stairwell. A sense of reverence to the elegance of the manor's golden age — and to that of English country living in general — is made especially evident by Ole Bratt Birkeland's cinematography, which frequently lets viewers take in the post-Victorian beauty of the countryside. This serene visual quality helps nudge viewers onward during the lulls of the film's first half. Once things get kicking, The Little Stranger turns into a quietly mesmerizing psychological character study, and its true nature only becomes apparent at the peak of the narrative's slow-building crescendo. The real horror of the film isn't its titular poltergeist, whose sometimes devilish tricks feel like forgettable plot devices in the face of the far more menacing sense of jealous obsession that subtly pervades the film. One might not even think to call it "obsession" until the shocking climax, which clarifies the swelling malignancy that's been present all along. That's the dark beauty of The Little Stranger: Even as it defies classification and meanders between typical genre bounds, it self-assuredly constructs a chilling psychological examination that leaves an impression — like a stunning estate in its glory days. The original print version of this article was headlined "THE LITTLE STRANGER"